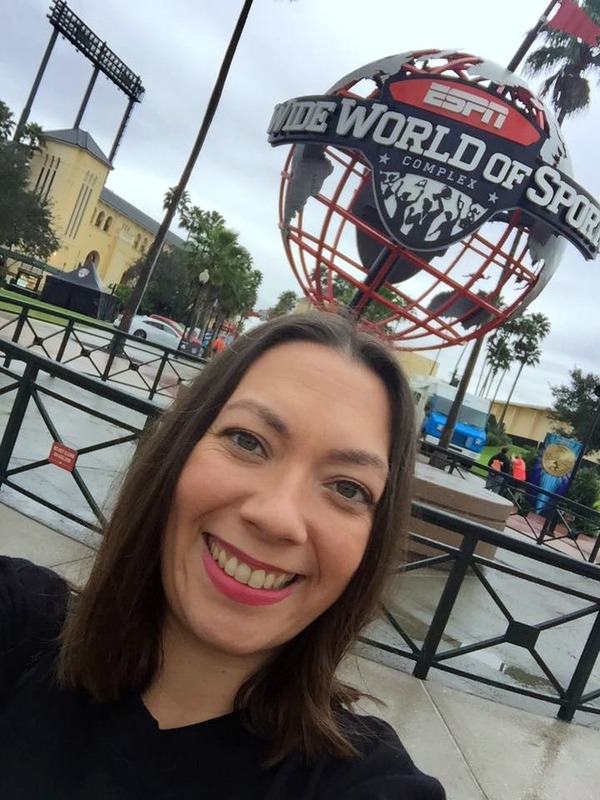 Plans for our first morning waking up in Orlando were to head to the ESPN World Wide World of Sports for the RunDisney Marathon Expo. I love anything 'new' and the whole RunDisney experience was new to me so I was excited to take a look around. Straight away I remembered how good Disney are at customer service. The Expo as you would expect was so well organised, signage and staff directing you to where you needed to go. 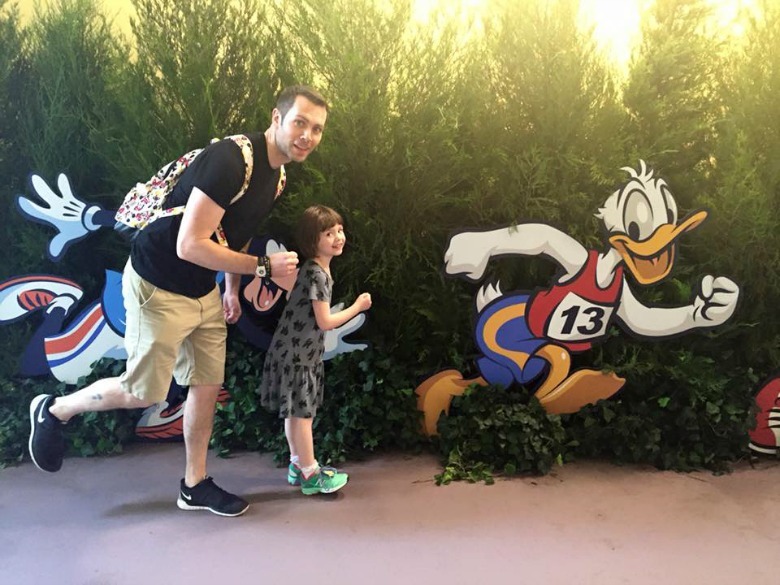 The main purpose of our visit apart from somewhere for me to start taking selfies was so that my brother could pick up his running bib to participate in the Donald Duck Half Marathon taking place the next day. 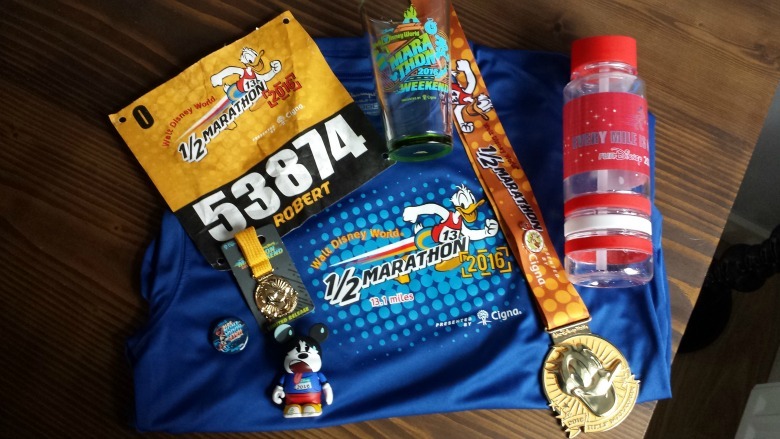 After picking up his bib we took a look around the Expo as there was plenty of RunDisney specific merchandise which my brother wanted to purchase. I wouldn't know but my Rob said that this Expo is much better than it's British counterparts with a better offering of products even outside of the RunDisney remit. 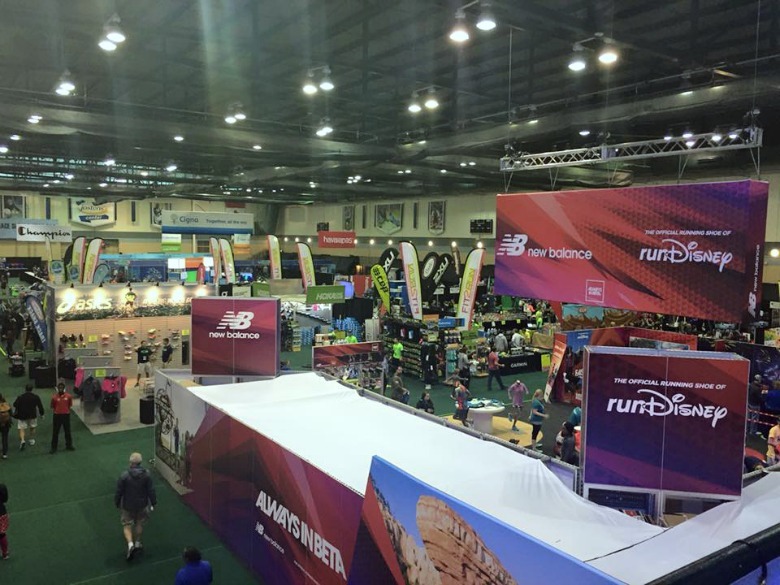 It was great to walk around and see everything from framers offering fantastic ways to display your medals to fashion stores offering items of running clothing which could support your fancy dress preferences during the run. 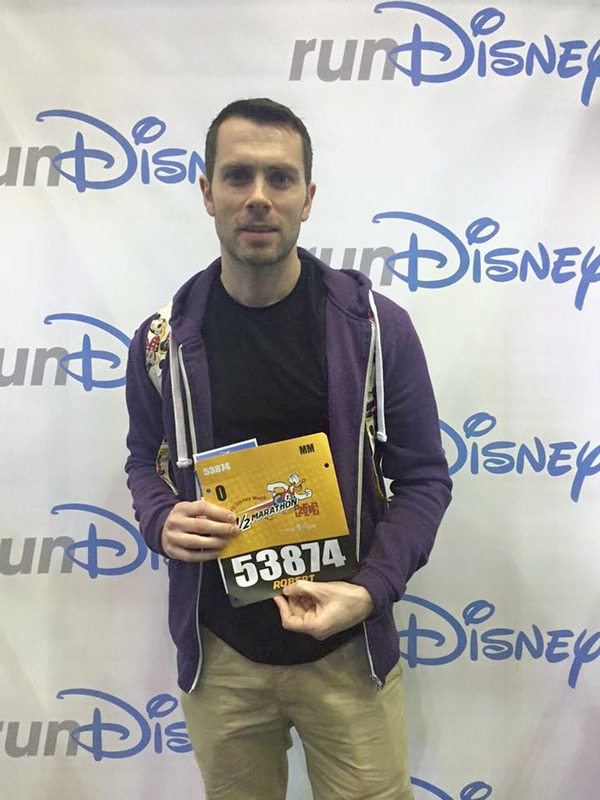 After picking up my ChEAR Squad pack so I could support my brother on the course, more on that in another post, we got down to the serious business of the runDisney New Balance Trainers. 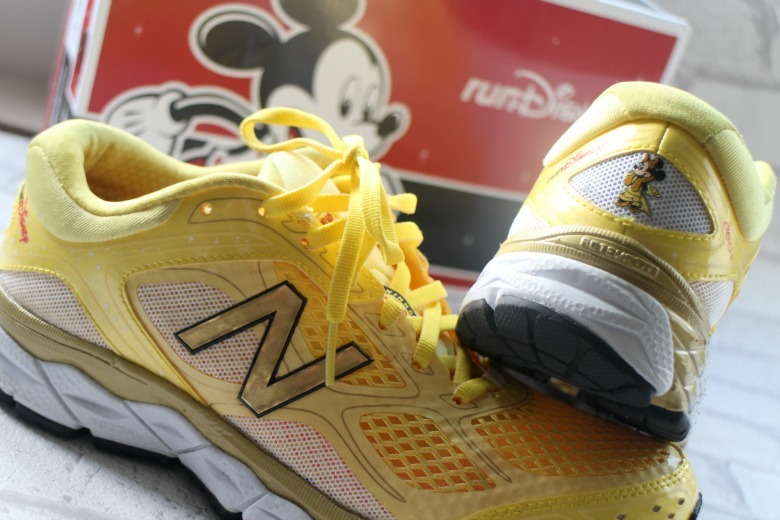 There are numerous runDisney races that take place at all Disney Parks throughout the course of the year and at the beginning of each year New Balance release a selection of Disney themed trainers to purchase. Now these trainers are highly sought after, can only be purchased by marathon runners and limited to six pairs per runner. As you can imagine there is something of a market on eBay for these trainers whatever your moral opinion of this is. 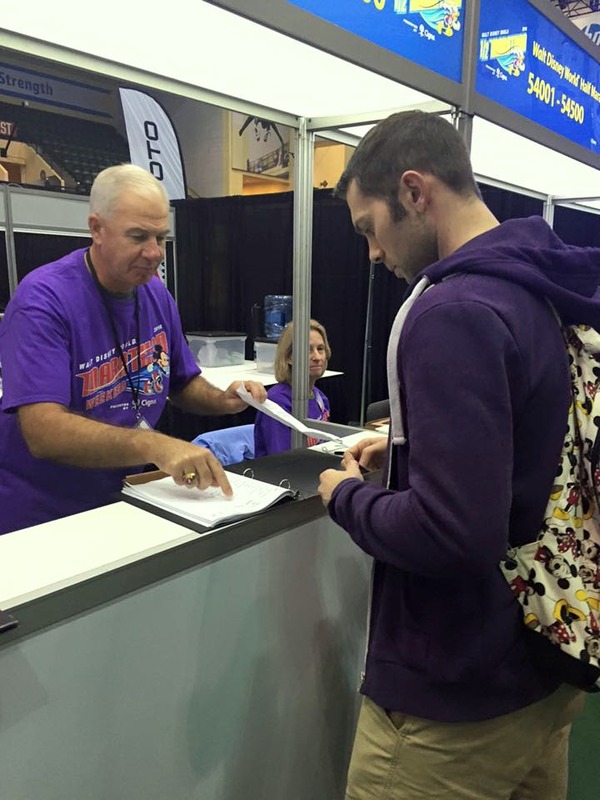 We had been up early that morning to register online in the New Balance Virtual Queue and made our way to the bustling area. 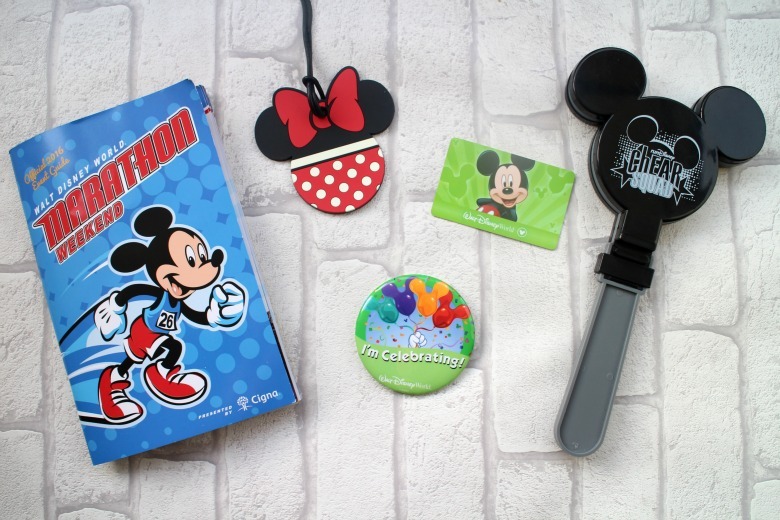 Prior to leaving for our holiday I'd given myself a stern talking to about getting caught up in the 'Disney Magic'. It's very easy once in the Disney bubble to suddenly want to purchase everything you set your eyes on only to return home later and question whether the idea to have a Disney themed kitchen was the right one. 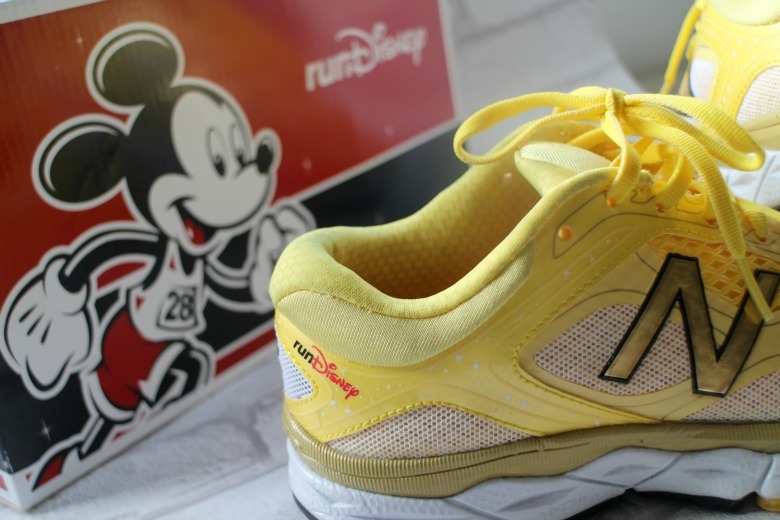 As such, and particularly as someone who does not exercise nor wear trainers I had an interest only in seeing the Dumbo version my brother would purchase. In a matter of minutes my sister-in-law was trying the Ariel version on herself and my niece and I was staring longingly at the Minnie ones. Whilst they loaded up their purchases I was coaxed into trying them and expecting to not enjoy how they looked and with the cost not being cheap (let's just say over £100) I assumed I would be sensible. Apparently not. Just buy them everyone encouraged, even the sales assistant telling me even if I didn't wear them I could easily recoup the cost back by selling them on eBay and so I did. And as it happened it was the best thing I did as I ended up wearing them for most of our park days after realising quickly what all that walking around did to your feet. 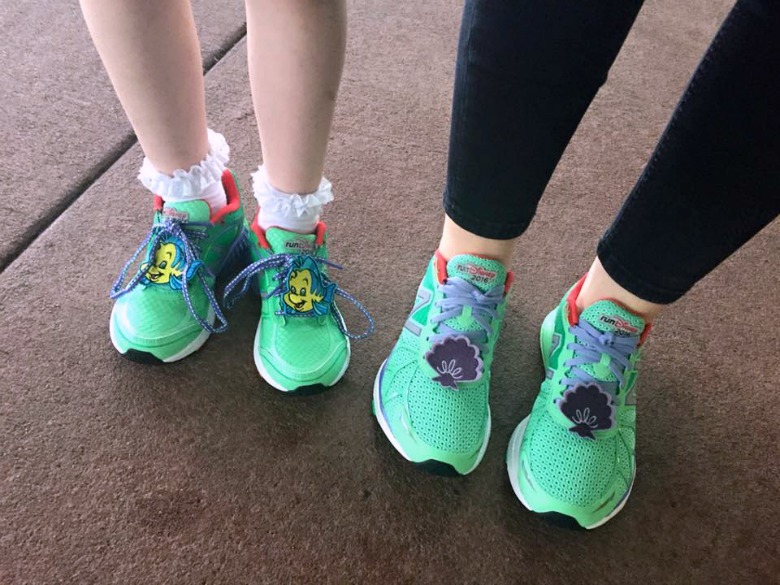 Violet and Sarah immediately put their trainers on in very cute mother and daughter fashion whilst I took a few more days to warm up to mine. After our time at the Expo, despite the heavens having opened up it was time to run over to Universal Studios for our first official theme park day. How can one not be tempted be bright yellow!